According to the National Fire Protection Agency (NFPA), patients within health care facilities are presumed to be incapable of self-preservation. Therefore, their safety depends on an appropriate and effective combination of in-place fire and life safety features along with an acceptable hospital staff response. Mercortecresa provide licensed and certified fire protection inspections and adheres the best solutions to match the fire code regulation procedures and local fire codes. We can examine a hospital’s existing fire and life safety features. 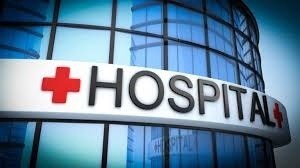 We understand that in order for a hospital to provide the best possible care to their patients, property managers must maintain a safe and secure environment, limit patients and employees from exposure to hazardous materials and provide a technology and cabling infrastructure to support prompt communication.